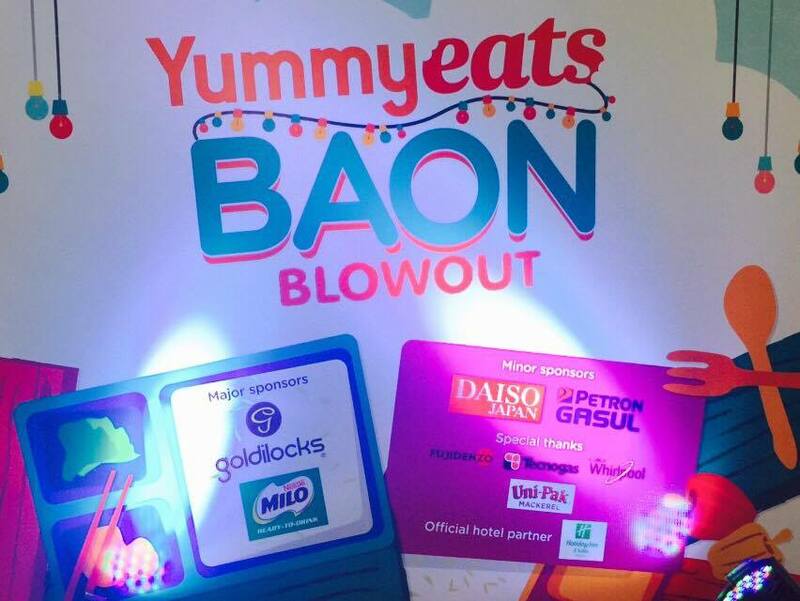 Because summer is over and it is back to school once more for our kids, Yummy Eats Baon Blowout focuses on what healthy snacks and lunch to prepare for our kids as well as inviting some food sellers to the event. 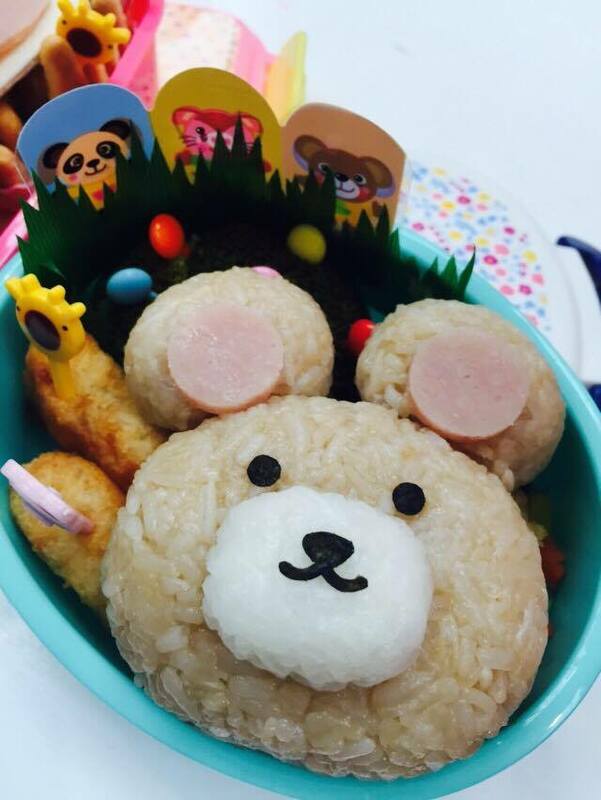 Here is a sample of Nikki's wonderful bento creation that will make every kid happy to eat their lunch or snack. 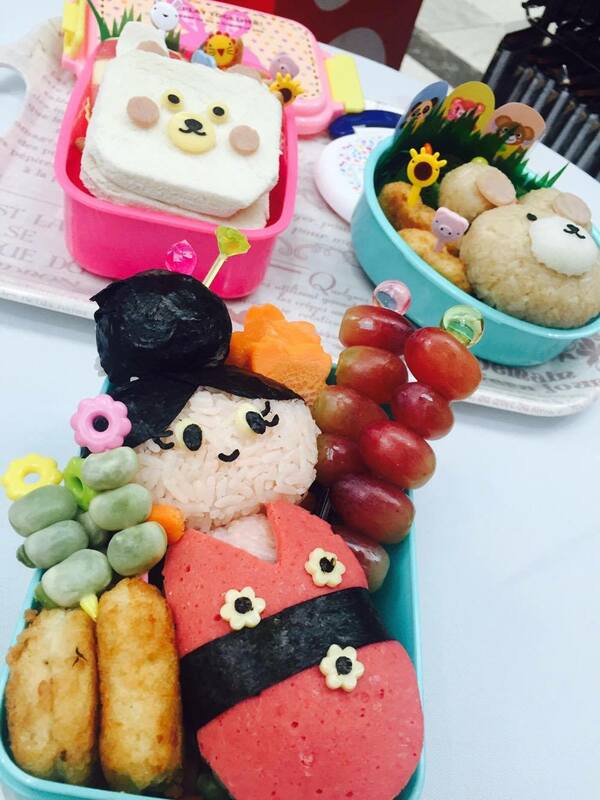 And not only is the bento lunch appealing to the eyes, it is also packed with delicious goodies that kids love. 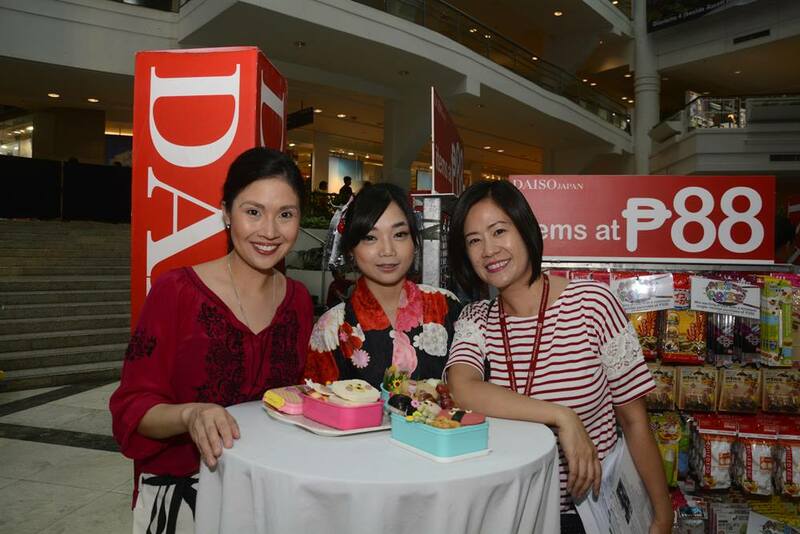 Shown in the photo is Nikki Garcia, Sloveene, and Bernice Jayne Chioa-Bunoan, Daiso Japan Marketing Services Manager. 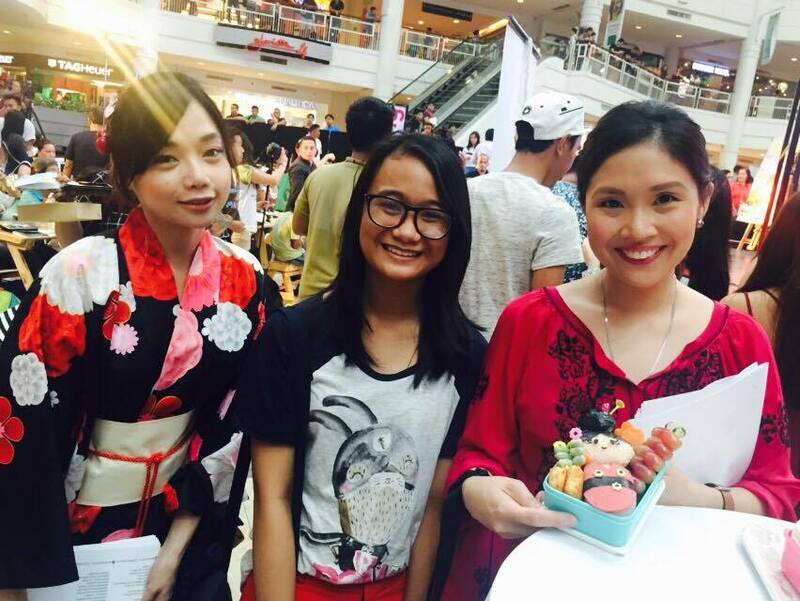 And here is Nikki with her kokeshi-doll bento creation, Sloveene and my daughter. 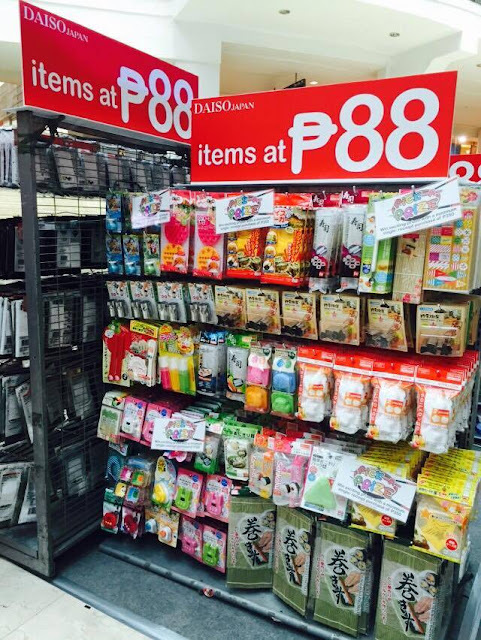 DAISO Japan has more than thirty branches all over the country and there are many interesting finds here especially for the bento-makers. And not only that, most items here are so affordable and won't put a hole in your pocket. My daughter and I love shopping at Daiso because of its cute but functional items. Not to mention the Hello Kitty items that we buy from Daiso. 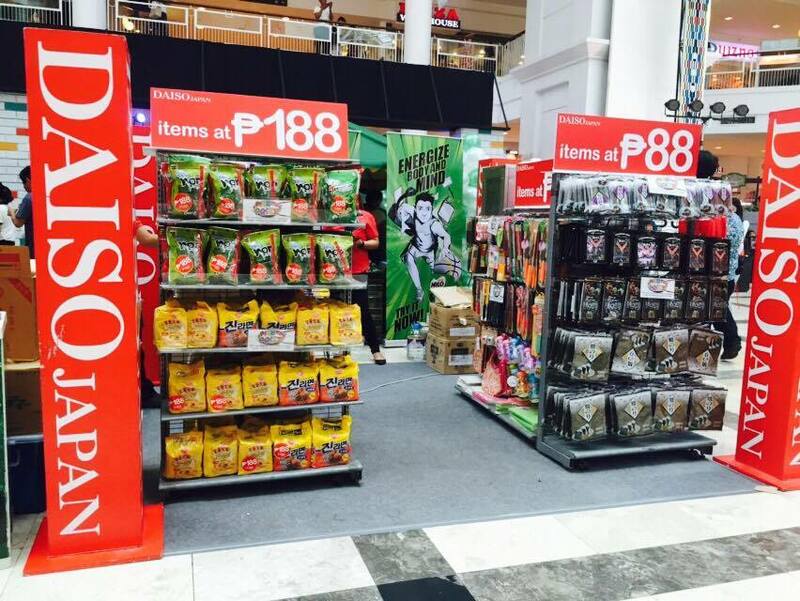 And the best part, most of the items are only P88. Such a bargain! Will try making a bento-baon for my daughter his school week. Wish me luck!